In a world where body modification means even more than just getting a tattoo or some cosmetic surgery, pretty much the sky's the limit. Sure, you might just want to stay fully human, but why not look into getting all sorts of upgrades and enhancements? Well, for players in The Future Belongs to Us, you'll soon be able to window shop for all types of things, as they'll be coming out with their Upgrades & Enhancements book this November. 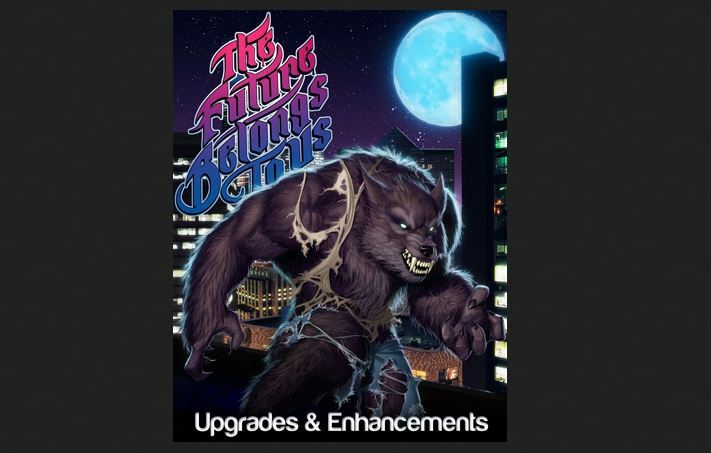 New from Ataraxy Publishing is The Future Belongs To Us Upgrades & Enhancements. Both the Limited and Standard editions of the Upgrades & Enhancements sourcebook will be available on November 7th, 2017! Known as "the GEK book" among fans of the game, Upgrades & Enhancements is a high quality hardcover expansion that includes new Archetypes, Body Upgrades for adult characters, and Genetic Enhancements or "GEK abilities" for teens.